Marjorie Temple, owner of a bus line and an apparently worthless plot of land, is set upon by rich oil speculators who know her land actually is worth millions. 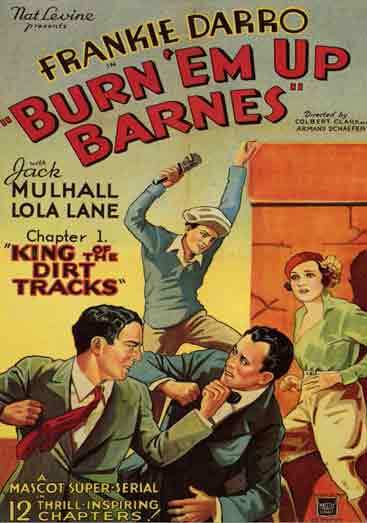 When they try to put her out of business for good, young race driver Burn ’em Up Barnes comes to her rescue – again and again and again. 2 DVD Set. – 12 Chapters (1934).